Introduced with MS-DOS 2.0 and has been available up to 6.0 where it was removed because of concern with data issues. 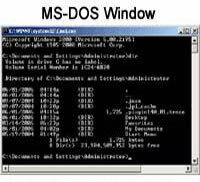 Was latter made available on the MS-DOS 6.0, 6.2 and 6.22 supplemental disks. The assign command redirects disk operation on one drive to a different drive. Any users using Windows 95 or above should not use this command and consider using the SUBST command as a substitute. The assign command is an external command file named assign.com and is available in the below Microsoft operating systems. ASSIGN Assign with no switches cancels redirected drive assignments and sets them back to their original drives. ASSIGN A = B = C - Assigns A as B and B as C.
The assign command does not work with format, diskcopy, diskcomp, backup, label, restore, print or subst. Warning: Do not use a colon after a drive letter in versions prior to 5.0.